Reasons for Oil Pan Gasket Leaks in Jaguar | Bavarian Auto, Inc. Anytime you get behind the wheel of a Jaguar you expect an above average experience. Since a large portion of that comes from superior engine performance it’s imperative to stay on top of routine services such as tune-ups and oil changes. Anytime there is a fluid leak in your Jaguar it’s cause for concern but especially in instances of oil leaks. One of the worst types of oil leaks comes when the oil pan, specifically the gasket in the oil pan, begins to leak. This causes oil to circulate poorly or not at all through the engine block, which will lead to diminished engine performance and excessive wear and tear throughout. There are a few factors that can contribute to oil pan leaks and this article will focus on common causes and symptoms to look out for so that you can keep your Jaguar in perfect condition. 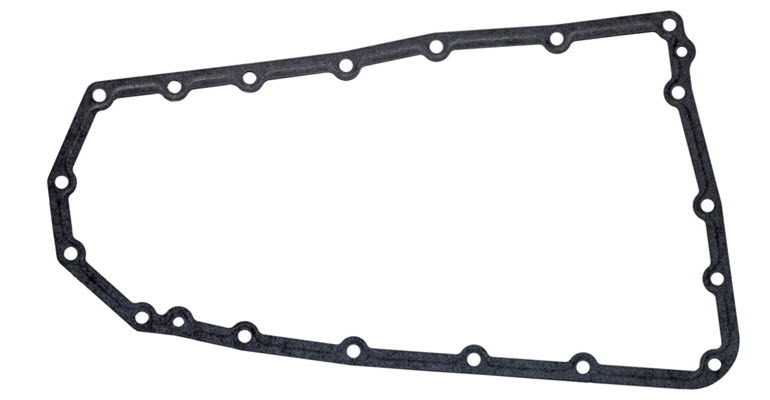 Made of rubber, the oil pan gasket isn’t an invincible part and over time as the miles add up it begins to suffer wear and tear like any other part of your car. As the gasket wears down it won’t be able to seal oil any longer and you will start to notice oil leaks. The earlier you catch the issue the faster it can be resolved with minimal damage being sustained to your Jaguar. Most roads aren’t in perfect condition and debris, bumps and other hazards can all impact multiple areas and components under your vehicle. This includes loosening the contact between the oil pan and the gasket, which will then lead to a less effective seal and may be the cause for the leaks you are experiencing. Most of the time it will just need to be checked and tightened there is a chance the oil pan itself will need to be replaced if the damage is too severe. The first thing to do is confirm that the leak you’re dealing with is actually an oil leak. Different colored fluids all indicate different issues so make sure to check the location of the leak. In an instance of an oil pan leak you should be able to see oil leaking when you look under your vehicle, as it will create larger pools of oil. If there is an oil leak your engine won’t be getting enough oil to function properly including lubricating the components and cooling the engine down. Since it’s not able to function properly you will notice your engine running much hotter and unless the gasket is replaced it can lead to your engine being completely ruined if it overheats for too long. There are dozens of reasons why the check engine light may be on your dashboard and while most Jaguar models have separate oil lights if overheating is an issue there’s a good chance your check engine light will remain on. No matter what the cause may be it’s important to always have your car checked out immediately if the check engine light does turn on. For years the expert mechanics at Bavarian Auto have been helping Jaguar owners get the most out of their vehicle. We offer complete services and repairs including oil changes and oil leak repairs. When you notice a leak with your car then simply call us and let our friendly staff help you throughout the entire repair process. Our ASE certified mechanics use the latest tools and equipment available to find the source of the problem and repair it as quickly as possible. In an instance of an oil pan leak or gasket issue our team will make sure to check all throughout your engine to ensure that no damages have been done to the engine and other critical areas. We guarantee all of our work and offer all of our services and repairs at a fraction of the cost of going to the dealerships. Oil leaks can lead to quite an expensive headache that greatly impacts the lifespan of your Jaguar, if you think your car may be leaking or you would like to schedule a routine service appointment please call Bavarian Auto today. We’ve helped drivers in and around the Chattanooga area for years and our team guarantees that we’ll find an affordable, long lasting solution for your vehicle.